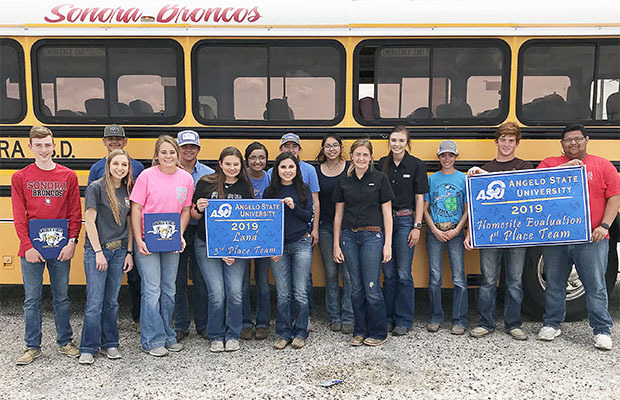 Sonora FFA student teams worked through a number of challenges to claim the first place award in Home Site Evaluation Judging and third place in Land Judging at the Angelo State University Invitational CDE Friday, April 5, 2019, in San Angelo. In San Angelo, Dylan Taylor’s perfect score led the homesite team to a first place finish in the contest. Tully Flanagan placed tenth overall, while Noe Estrada was eighteenth. Led by third high individual Reese Baird, and sixth high Katy Jo Wardlaw, the Land Judging Team, was awarded third in the contest. Kadee Petty, Jaci Dutton, and Francisco Garza also judged well in the Land contest. The Wool Judging Team of Madalyn Fisher, Miranda Renteria and Kodi Davis placed eighteenth overall and fourth among Area 2 teams taking part. The team of Kami Lux and Sterling Smith overcame obstacles to compete and beat four teams for a satisfactory finish. The Range Judging Team of Analy Palacios, Catarina Hernandez, and Rashel Deluna earned seventh while the Wildlife Team of Rebeckah Owen and Levi Garrett placed seventeenth overall and second in Area 2. Saturday, members of the Land, Range, Homesite and Wildlife teams competed in Hico. The Land Team was the only group to bring home top awards in the Hico contest with a third place plaque. Petty won third place honors with Baird and Dutton winning sixth and tenth place, respectively. Isabella Samaniego led the Wildlife Team to a fifth-place finish, narrowly missing the top ten individually. Seth Edwards and Reagan Owen made up the rest of the team. Rashel Deluna and Jake Obanon took a hit, being the only two-person range team there that day affecting their competition outcome. The homesite team learned a valuable lesson that day, as Estrada was the only one on the team of three to place individually, with Flanagan and Rebeckah Owen making up the rest of the team. The team placed lower than at any other contest this year, after winning the day before. 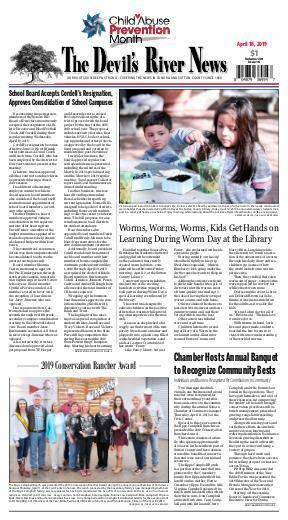 Instructor Tim Flannagan said the students worked through their experiences and learned valuable lessons to help them in the future. Sonora judging teams competed at Blanco Wednesday, April 10 and results were not available in time for print. Next, teams will compete in the Area Wool Judging Contest Friday, April 12, at Texas Tech University in Lubbock.